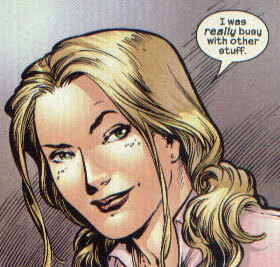 Victoria Anderson is the granddaughter of the Human Torch inventor Professor Phineas T. Horton. Victoria is normal human, but she wears solar gem, that has its own artificial intelligence which can absorb and release solar energy. The gem produced a holographic image of Vision for her to consult with.